or if you are looking for articles about offshore retirement planning and pensions please see below. We have split this section into two categories. Offshore pension plans are for those of you who are working or living abroad and have not yet built up a substantial pension in the UK. Our QROPS articles will be of particular use to readers who have built up a pension in the UK and are looking to retire abroad. While possible over-salary benefits for expats are usually excellent, they almost never include a pension scheme. Even where they do, an expat working position may not last a lifetime and to continually start, stop and freeze a pension when you move will create a major headache and eroded pension capital on retirement. Expatriate pension plans are not the same as UK private pension schemes. For one, there is normally no minimum age, or where there is it can be as low as 50 to begin draw down. Moreover, the retiree will be able to take possession of the entire asset – in cash if need be. For readers who are nearing retirement and are looking to retire in a different country, or those that already live and work abroad and have stopped paying into a UK pension scheme, there is a transfer option known as QROPS. This is any one of the HMRC approved schemes that allow expats to carry their UK pension privileges overseas. That is, it allows you to ‘transfer’ your pension fund from the UK to an HMRC approved scheme elsewhere. This of course has potential benefits, not least tax and easier access. Costs of Transferring your Pension. 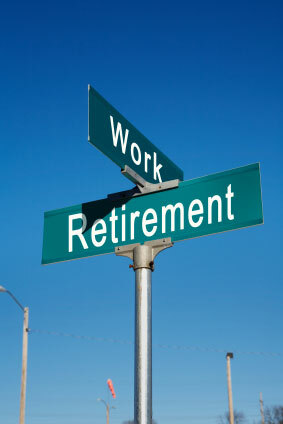 Planning your offshore retirement can be an incredibly exciting time. You’re heading abroad to spend your twilight years somewhere wholly different to the norm, giving you the lifestyle you’ve always wanted and the time to actually enjoy it. But, it’s important to think carefully about your finances, and whether you’re already over there or are still waiting to head off, it’s important to put expat pension plans at the top of the agenda. Offshore pensions should be an essential consideration for anyone intending to work abroad, because not all jobs will offer a pension scheme as part of their salary benefits. This means you’ll need to look into alternative expat pension plans to ensure you get the offshore retirement you want, but the benefit of this is that pensions for expats are treated entirely differently to their UK counterparts. With expat pension plans there’s normally no minimum age to begin draw down and offshore pensions are considered an asset in their own right, meaning that you can pass it on to beneficiaries and you have a greater level of flexibility in terms of what you can do with it. Retirees could even take control of the entire asset, in cash, when they retire, with pensions for expats offering far more choice than with traditional UK plans. Or, for individuals that are nearing retirement and simply want to retire with their pension fund intact, there’s the option of the QROPS pension. QROPS, or the Qualifying Recognised Overseas Pension Scheme, allows you to transfer your UK pension to an HMRC-approved scheme elsewhere, ensuring you can continue receiving the privileges of your UK pension whilst offering additional benefits of tax savings and ease of access. Expat pension plans such as this could be the perfect choice for individuals who want to take full advantage of their offshore retirement, but as with any type of investment it’s important to seek the necessary advice. Here at Expat & Offshore we know that making the right pension decision isn’t always easy, and that’s why we’re committed to offering as much support as we can to simplify the process. We provide free, independent expat pension advice that covers all aspects of offshore retirement to help you make an informed decision, and with plenty of relevant guides and articles on all types of pensions for expats you can be confident in getting access to the help you need. We don’t stop there either—if you’re in need of more personal attention we can put you in touch with trained financial advisors who will be able to offer expat pension advice on a one-to-one basis, taking you through the various pensions for expats to decide which one would be right for you, ultimately helping to ensure you can make the most of your retirement. If you’re looking for expat pension advice you can trust we should be your first and only port of call, so just take a look around or get in touch and you could find the process of arranging offshore pensions far easier.